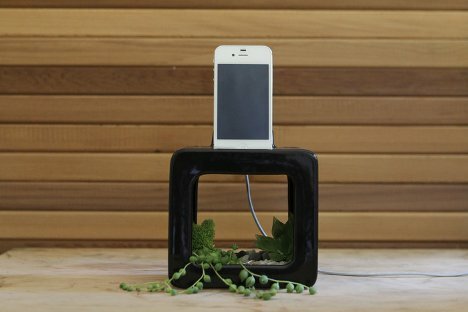 The usual iPhone dock is a little short on design – even the “designer” ones still only serve one purpose and look kind of empty when the phone is gone. 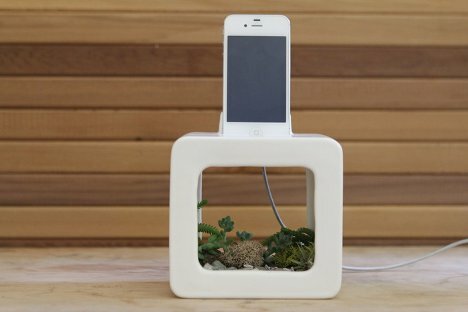 The Bloombox is a ceramic iPhone amplifier that doubles as a planter, giving it a dual purpose as well as a layer of beautiful design. The small box is an amplifier, not a speaker, so it uses no power. It’s a docking station that serves to not only make your music louder but to beautify your space also. 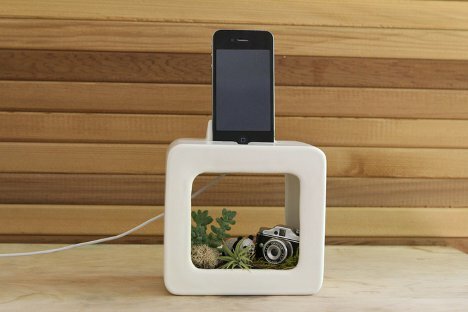 Unlike other iPhone docks or speakers, the Bloombox is just as lovely on its own as it is when it’s doing its job. The pair behind the concept have started a Kickstarter page to raise funds for their project. Pre-order units through Kickstarter are $50, which seems like a pretty good deal for such a modern, elegant object. See more in Audio & TV or under Gadgets. August, 2012.